To be honest I’m not really sure why I’m writing this list of our curricula for the coming year. I guess because I know how much Charlotte Mason and classical homeschoolers love to look at other people’s book lists! Hurricane Harvey didn’t really do too much to our town, but then a couple of days after he’d left, all of the water he dumped over southeast Texas came roaring down the rivers here in town leaving about 2/3 of the homes and businesses in our small town with flood damage. For a few days there was no way in or out of our town due to all the roads being underwater. Luckily our home was spared, but now the flood waters have gone away for the most part, and our town is busy helping friends and neighbors rebuild their homes and lives. At this point our curriculum plan, at least for the foreseeable future, should be: Disaster Response 101 and Loving Your Neighbor Advanced Level. But since I’m hoping that eventually we’ll get to the plans I’ve put together for our 2017-2018 school year, I’ll share them more as a wish list for the (hopefully) near future then what we are currently studying. 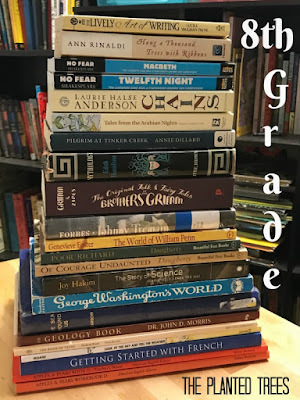 Grace is entering eighth grade this year (cue fainting and panic attacks) and since high school is thundering over the horizon (cue more fainting and panic attacks), I wanted to let her last year of pre-high school work be one of freedom and control over her schooling choices before we start having to count credits next year. You’ll notice that a couple of her subjects look a bit different than the traditional course work. 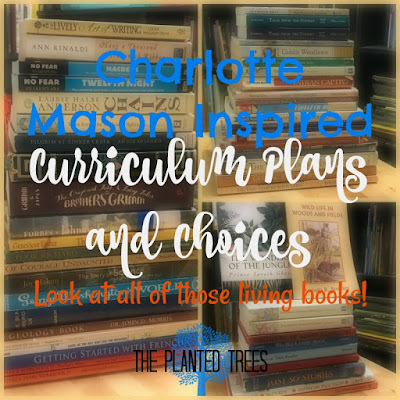 I’m reviewing a new Charlotte Mason curriculum this school year (thanks to the generosity of the author), so most of her content subjects come from that curriculum. Literature: So I'm not going to lie, this is the one subject I'm most excited about this year. Why? Because Grace wanted to spend the entire year studying fairy tales, so we are. We'll be looking at three modern fairy tale retellings, three modern fairy tale novels, the original Grimm and Perrault tales, examining fairy tales at a deep spiritual, Biblical level, and hopefully having lots of big, juicy conversations about it all. The only catch? Nothing like what I wanted existed, so I had to write it myself from the ground up. Of course she'll also be reading some American historical fiction, nature lore books, and geography novels as well, but our big focus is all things fairy. I'm hoping to drop in every so often here on the blog and let you know how this one is going. 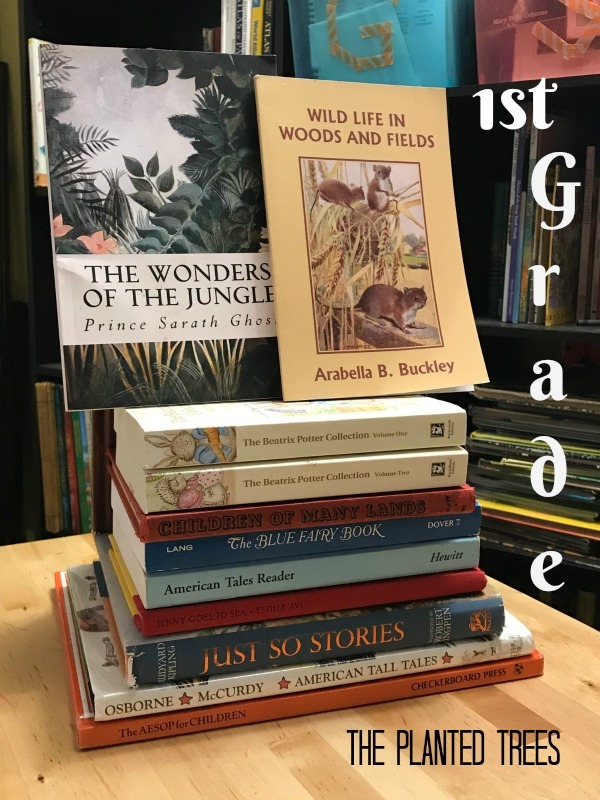 Science: Instead of focusing on one science subject this year, Grace will be doing a different focus each term along with a year long study of trees using Memoria Press' Book of Trees. The first term she'll be studying weather using the living science curriculum from Sabbath Mood Homeschool and Look at the Sky and Tell the Weather by Eric Sloane as a spine. The second term will have a geology focus using The Geology Book as a spine. 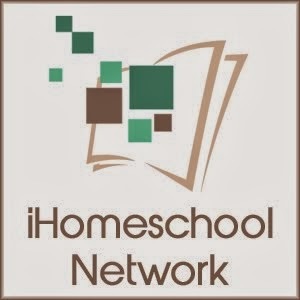 The third term will be all about chemistry using another living science curriculum from Sabbath Mood Homeschool. History: Normally, I have two concurrent streams of history going at one time: American and World, but this year Grace wanted to study mythology (one of her favorite things) in lieu of world history. I thought, "Why not?" and so away I went. Luckily I found a good general outline for our study online (and it was free which is even better! ), but basically, she will be studying Greek and Roman mythology the first semester and Norse, Arthurian, and Arabian mythology the second semester. All year long she'll also be reading various books containing mythology from around the world. For American history, she'll be roughly studying the period from 1700-1800 which means French and Indian War, Revolutionary War, and the Constitution. Foreign Language: Right at the end of last school year Grace decided she wanted to go back and start her French book over again. She felt like she wasn't dedicating enough time to her French studies and wanted a redo with a more focused mindset. She'll be continuing on with Getting Started with French this year. 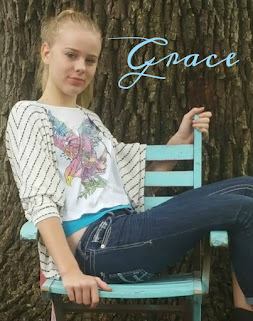 Personal Bible Study: I decided last year that Grace would no longer be using the Bible Study Guide for All Ages with her siblings, instead she would start her own personal Bible study time. In fact, I waited too long to do this with her. She'll be working through the New Testament workbooks from The Most Important Thing You'll Ever Study by Starr Meade. 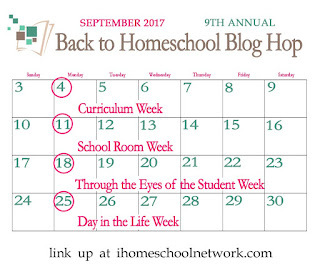 Sophia is a fifth grader this year, and she's always super excited about school. It's probably no coincidence that when we loaded her basket for the first term, she had more books to read and study than anyone. Sophia is my one child who is using the Charlotte Mason curriculum I'm reviewing totally as it's written. I know she's going to have a great year. Grammar: I really wasn't going to have Sophia do grammar this year since we spent a year studying it last year, but I'm teaching a Grammar Fun class at our local co-op, so she'll be in there by default. I think most of it will be review, but it's always better to learn grammar if you're doing it through art and games. Writing: She's using parts 2 and 3 of Treasured Conversations this year. After that she'll move back to Writing and Rhetoric. Literature: Both of my girls are spending an hour of their day this year doing nothing but reading some great books. Here's Sophia's list for literature this year: Tales from the Odyssey, D'Aulaire's Greek Myths, Our Little Athenian Cousin from Long Ago, Our Little Spartan Cousin from Long Ago, Christian Liberty Nature Reader 5, Our Earth, Seabird, Alice's Adventures in Wonderland, Where the Mountain Meets the Moon, A Long Walk to Water, Caddie Woodlawn, An Ordinary Princess, Sarah, Plain and Tall, Harry Potter and the Sorcerer's Stone, Matilda, and The Children of Green Knowe. We won't do anything super formal with these books, but we will talk about them (a la narrations). Science: Sophia's big science focus this year is physics and she's really excited about it. This girl really loves her math and science! Her spine will be The New Way Things Work by David MacCaulay with K'Nex kits and an experiment book thrown in as well. All year long she'll also be studying insects one day a week using Memoria Press' The Book of Insects set. 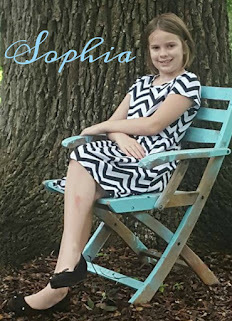 History: In case, you could't figure it out from her literature list, Sophia will be studying Ancient Greece this year. Her spine book will be The Story of the Greeks by H.A. Grueber. She will also be studying the same time period in history as her older sister, The American Revolution era (1700-1800). Again, she'll be using another Grueber book as her spine, The Story of the Thirteen Colonies. Foreign Language: I don't know what it is about Sophia, but she loves languages and it's really amazing how well she picks them up. 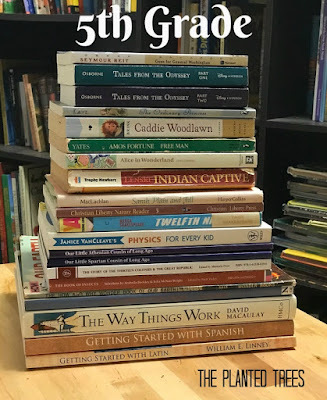 She's about halfway through Getting Started with Spanish, so we'll finish that up this year and we're also adding in Latin for her using Getting Started with Latin. Can you tell I like the Getting Started With series? Personal Bible Study: I wasn't actually going to purchase anything special for this area for Sophia this year, but she saw me using one of my favorite Bible study tools, a Journible, and decided she wanted one too. I asked her which book of the Bible she'd like to study. I assumed she'd want something like one of the gospels or Genesis, but she wanted to dive headfirst into Romans. Well, alrighty then. Nothing like tackling one of the weightiest books in the entire Bible! Thanks to her constant nagging I bought her a Romans Journible which should be here as soon as mail service starts up again after Harvey. 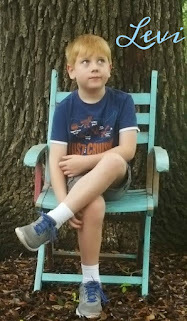 Out of all my children, I'm most excited to teach first grade for the last time with Levi. Why? I think it's because his first grade year is shaping up to be so different from what I did with his older sisters. I'm really adhering to the less is more philosophy with him. A few well chosen books this year, only five subjects a day, and this boy is ready to go. Handwriting: He's finishing Getty-Dubay Italics Book A and then copywork for the rest of the year. Science: To be honest, this is the one subject I'm most worried about for the coming year. He loves to be read to, but he loves to do as well. I'm hoping our daily time outside will provide the ability for him to do as we read through these great living science books this year: The Wonders of the Jungle by Prince Sarath Ghosh, Wild Life in Woods and Fields by Arabella Buckley, By Pond and River by Arabella Buckley, and Seed Babies by Margaret Morely. History: As a first grader, history is mainly just an exposure of famous people and stories from American history. We'll start out the year reading through some American tall tales using Mary Pope Osborne's book, American Tall Tales. The rest of the year we'll read selected stories from American Tales Reader by Michael G. Gaunt which tells about famous people from American history all while in a fictional story about a family. I'm pretty certain he's going to love this one! Geography: Geography is probably my favorite subject, and I love the way this new curriculum teaches something abstract like maps in a very hands on way all while using C.C. 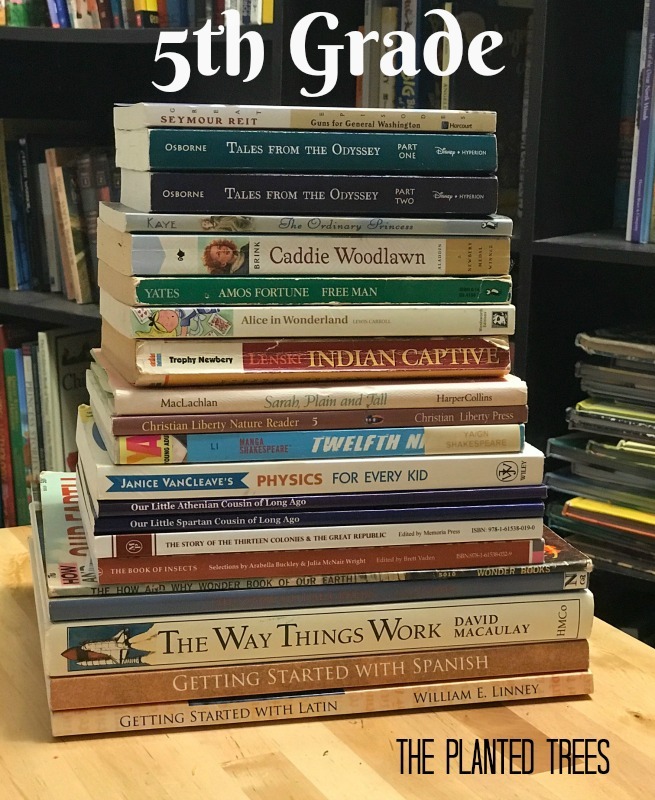 Long's Home Geography for Primary Grades as a spine along with some great books like Jenny Goes to Sea and Children of Many Lands. Literature: Basically this time in Levi's day is devoted to some great children's classics. He's already been poring over these books looking at the pictures and getting excited to hear me read them. This year we'll read: The Beatrix Potter Collection, Just so Stories, The Blue Fairy Book, and Aesop's Fables. So that's it! 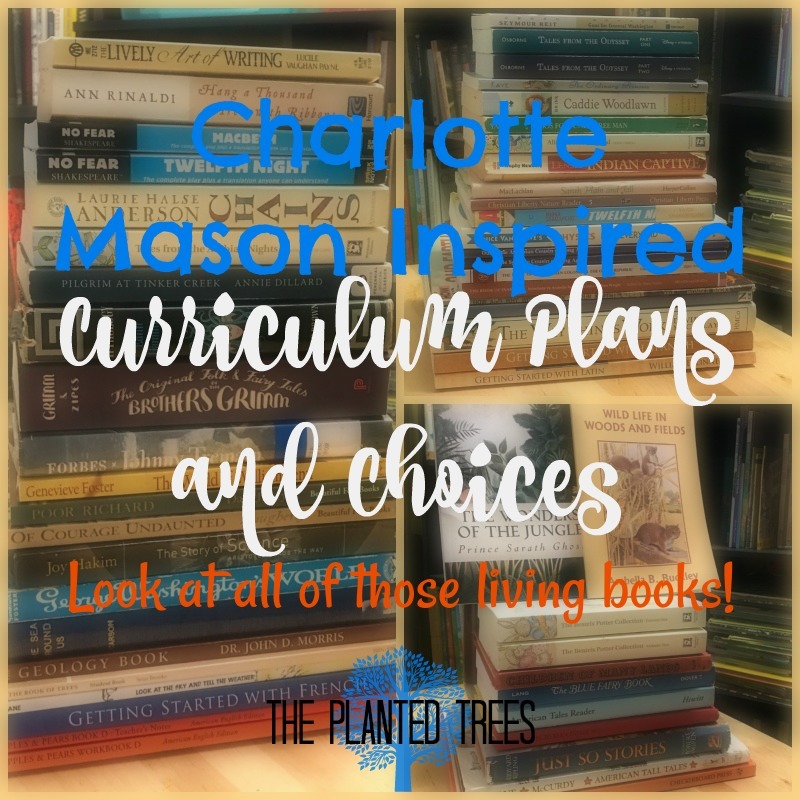 Once we get our town back on its feet we'll be diving head first into a great year of Charlotte Mason inspired learning. 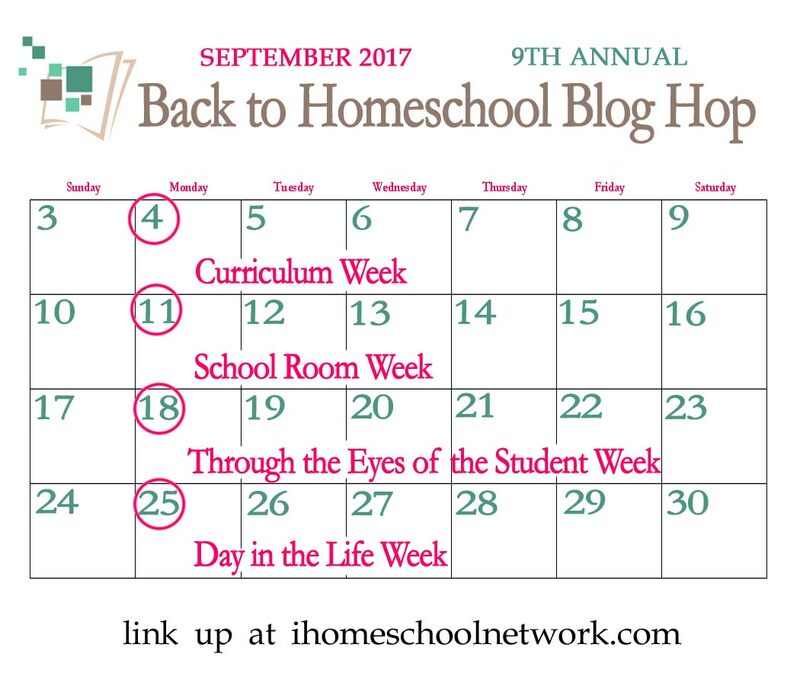 What grade or subject are you most excited about this year? 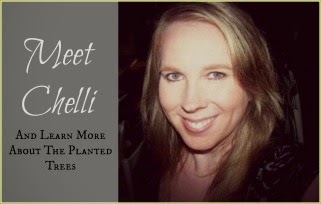 I just LOVE what you've chosen for science -- especially the Memoria Press trees study. So fun! I can't believe you had time to write this. You go, girl! The teen Bible study sounds really interesting. The middle schooler is acting bored with our family bible study so it may be time for her to branch out on her own. This looks like a good fit. I'm looking forward to reading your Fairy Tales Plan! I'm teaching 2nd, 4th, 6th and 9th grade this year. I'm still scrambling with finalizing my plans. My mother became ill and died during our summer break. Still reeling from that. It’s been so long since I’ve popped in over here. What a beautiful treasure is books you have gotten to enjoy all year! Fairy Tales for Lit! I am over here green with envy that you got to do that. How fun! Ok, so after a year of the Star Meade study, how do you like it? I have it but had planned to do something else I put together for next year, but I’m curious how that went for you.